Thomas Kolditz, Director of the Doerr Institute for New Leaders. Retired Brigadier General. Extreme Leadership Expert. A retired Brigadier General and titled Professor Emeritus by the US Military Academy, Kolditz led the Department of Behavioral Sciences and Leadership at West Point for 12 years. In that role, he was responsible for teaching, research, and outreach activities in Management, Leader Development Science, Psychology, and Sociology. A highly experienced global leader, General Kolditz has more than 26 years in leader roles on four continents. General Kolditz is an internationally recognized expert on crisis leadership and leadership in extreme contexts, and in the development of programs to inculcate leadership and leader development in everything from project teams to large organizations. He has published extensively across a diverse array of academic and leadership trade journals, and serves on the editorial and advisory boards of several academic journals. Kolditz is a Fellow in the American Psychological Association and is a member of the Academy of Management. He is a founding member of the Board of Advisors for the Department of Psychology at the University of Missouri, and serves on the Council of Senior Advisors for the Future of Executive Development Forum. 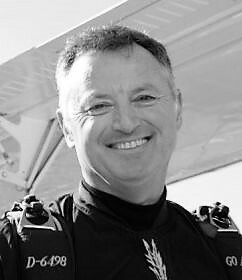 A skydiving instructor since 1980, Kolditz served as the senior instructor for the West Point Sport Parachute Team. He weaves his personal experiences and abilities as a soldier, skydiver, and scholar into the first-hand study, analysis, and practice of leadership in dangerous circumstances—in extremis leadership—and how such leadership can inform the practice of leading in more ordinary settings. Kolditz’s most recent book, titled In Extremis Leadership: Leading as if Your Life Depended on It, was based on more than 175 interviews taken on the ground in Iraq during combat operations. He has been named as a leadership Thought Leader by the Leader to Leader Institute and as a Top Leader Development Professional by Leadership Excellence. General Kolditz has presented leadership content to more than 200 governmental, corporate, and social sector audiences worldwide. As a professor, he has led academic seminars or given lectures to students from Babson, Wellesley, and Olin Colleges, the University of Missouri, Columbia University, Duke University, Yale University, the Military Psychology Center of the Israel Defense Forces, Peking University, the Beijing International MBA program, Harvard’s Center for Public Leadership, Harvard Law School, seven national and international service academies and more than ten major metropolitan law enforcement, firefighting, and public service academies and assemblies. Kolditz has appeared on Bloomberg TV, ABC World News, ABC 20-20, Al Jazeera, MSNBC, CBS, NPR, Calgary Today, Morning Ireland, and interviews with reporters from the New York Times, the Associated Press, Time, Discovery, the Atlanta Journal Constitution, the Washington Post, La Razon, and more than a dozen national and international news agencies.